Hail the Merger of the Maoist Parties in India into a Single Party! On this occasion of the International day of the world proletariat, the glorious May Day, we the Maoists of India, with a great sense of responsibility and firm conviction, announce the merger of the CPI (Maoist) and CPI(M-L) Naxalbari into a single party, to be known as CPI(Maoist). Thus strengthening the vanguard of the Indian proletariat, which is a contingent of the world proletariat, we dedicate ourselves evermore firmly to the cause of the Indian revolution and the world proletarian revolution. The Maoist movement took form through the great Naxalbari uprising of 1967. Inspired and led by comrades Charu Mazumdar and Kanhai Chatterjee, founder leaders of our party, thousands of leaders, cadres and masses laid down their invaluable lives to advance the revolutionary movement and build a strong party. 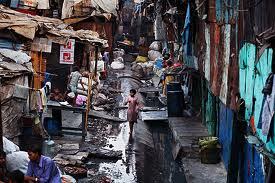 “India marks 60th anniversary urging war on poverty. Indian Prime Minister Manmohan Singh, speaking on the 60th anniversary of independence from British rule, said the country needed to work harder to fight poverty, ignorance and disease despite fast economic growth. India cannot become a nation with islands of high growth and vast areas untouched by development, where the benefits of growth accrue only to a few, he said on Wednesday from the ramparts of New Delhi’s historic Red Fort behind a bullet-proof glass screen.